When the release of Maddie & Tae’s debut album Start Here got pushed back two months, I was nervous for them. The duo (Maddie Marlow and Taylor Dye) took country music by a storm in the summer of 2014 with their debut single “Girl In a Country Song.” To be so new, so young, and to speak out against sexism in their genre was daring. They seemed unfazed yet grateful as the song created more buzz and earned them a #1 on the Country Airplay charts. As the song grew, however, Maddie & Tae did not grow along with it. They skirted around questions about ignorant comments from Florida Georgia Line’s Brian Kelley (“We love them and their music,” they said in response to Kelley’s comment that he didn’t know one girl that didn’t want to be the girl in a country song). Then, they chose to release the ballad “Fly” as their next single. “Fly” is a beautiful (if a bit cliché) song about finding bravery and strength in failure. It didn’t strike a chord for listeners, though. For all intensive purposes, “Fly” didn’t live up to the insane expectations “Girl In a Country Song” laid out for the duo. The concern surrounding Marlow and Dye was no longer if they had said too much, but if they were saying enough. Start Here puts these concerns to rest with ease. This is a stunningly insightful record from two talented young women. Ditching the pop production on “Girl In a Country Song” for a more traditional country sound, the duo lets their smart songwriting and angelic harmonies shine. There probably hasn’t been a mainstream country group or duo with this much emphasis on harmonies since the early days of Rascal Flatts—and for women, not since the Dixie Chicks. It’s a welcome breath of fresh air in a candy coated pop-country atmosphere. While Maddie & Tae are sweet and soulful, don’t underestimate their bite. If it seemed the unadulterated sass they exemplified on “Girl In a Country Song” was all but forgotten on follow-up “Fly,” think again. They aren’t afraid to speak up against a mean beauty queen (“Sierra”) or threaten a former lover to stay the hell away (“Your Side of Town”). If a city-slicking boy is asking for more than the girls want to give, like on “Shut Up and Fish,” they push him into the lake with no apologies. It’s comical, and it makes Marlow and Dye feel genuine. They’re good girls with big hearts. Just don’t get on their mean side. What’s most impressive about Start Here is its range of emotions, sometimes in a single song. An emotionally closed-off relationship in “Smoke” balances the American dreamland of love that Marlow and Dye create in “No Place Like You.” Both feature fantastic imagery-driven lyrics (“The sun comes up and it sinks back down / on every five-star dream in every two-star town” is a highlight on “No Place Like You”). The blinding optimism in opener “Waitin’ On a Plane” is put up against the anxious nature of starting a new phase of life in the last track “Downside of Growing Up.” It seems appropriate that an album titled Start Here is sandwiched between these two songs. As with any young adults, the girls start in one place somehow bloom into another. Their growth within the span of a thirty-seven-minute long record is remarkable. 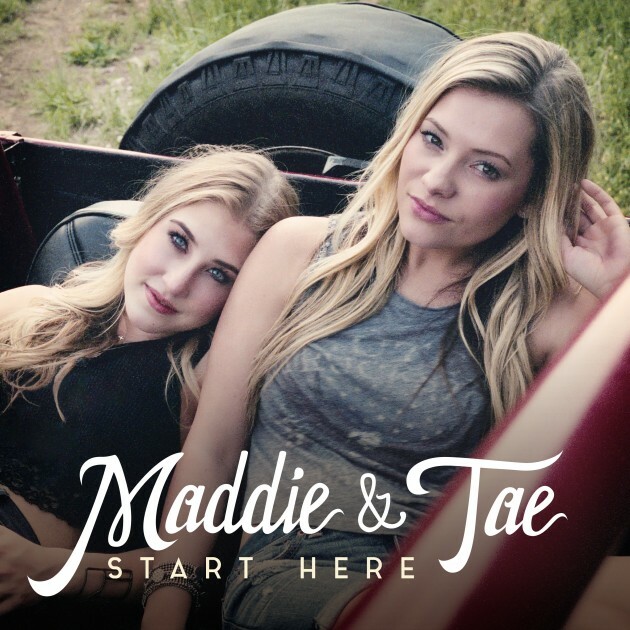 Maybe Maddie & Tae stumbled a bit in the beginning, but if Start Here marks their true beginning, these young women should be very, very proud.